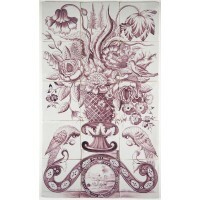 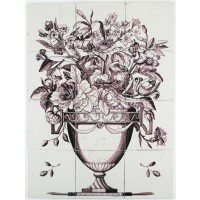 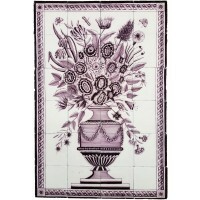 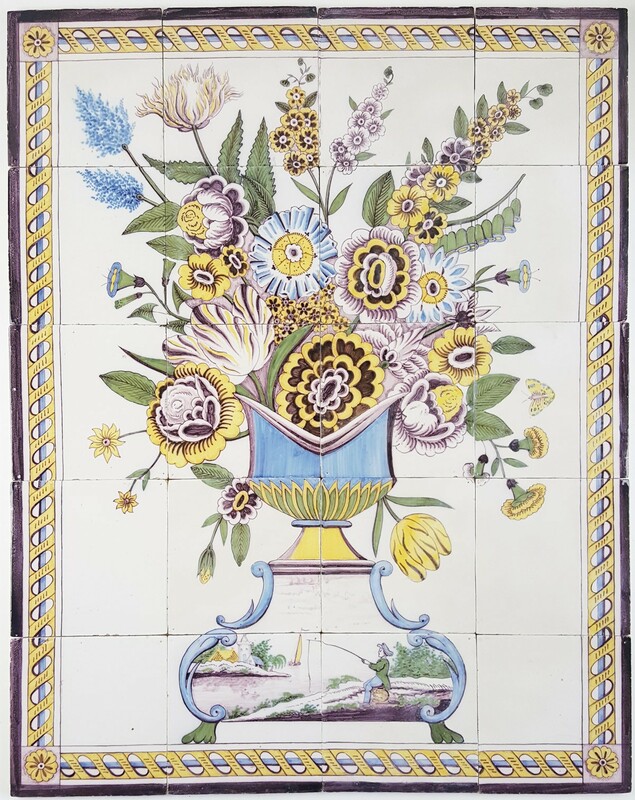 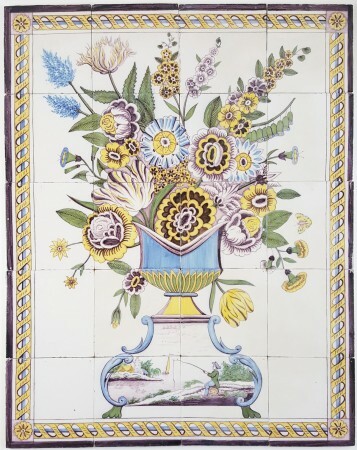 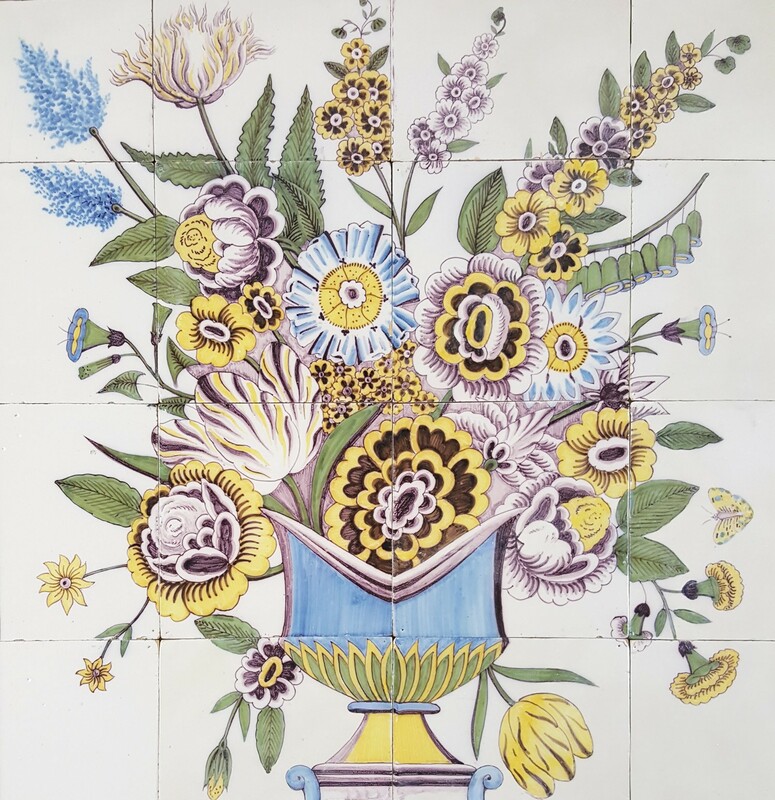 This is a wonderful antique Delft tile mural with a large and beautiful polychrome flower vase. 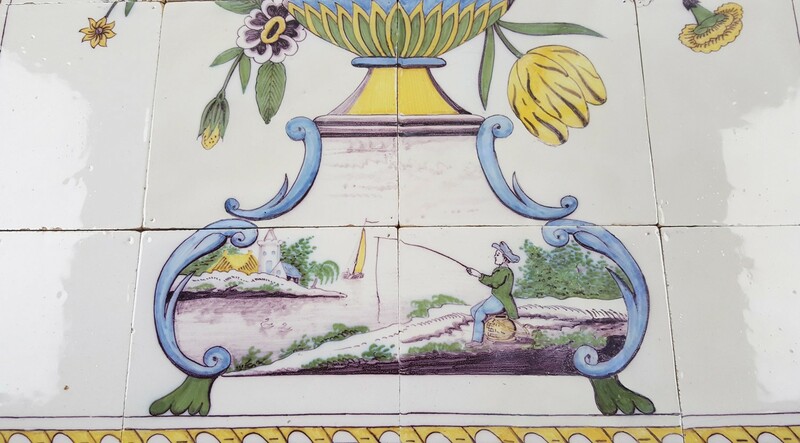 In the center of the vase a lovely small scene is depicted with a fisherman. 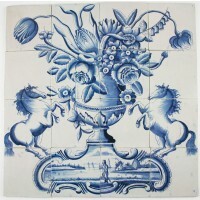 The mural was made in the Dutch city of Utrecht around 1830. 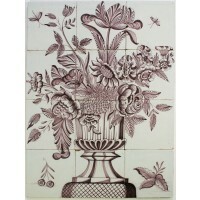 It has perfect professional restorations and has completely been prepared for any kind of tiling project.